Mark your calendars for 12/7 @ 160 5th Avenue. 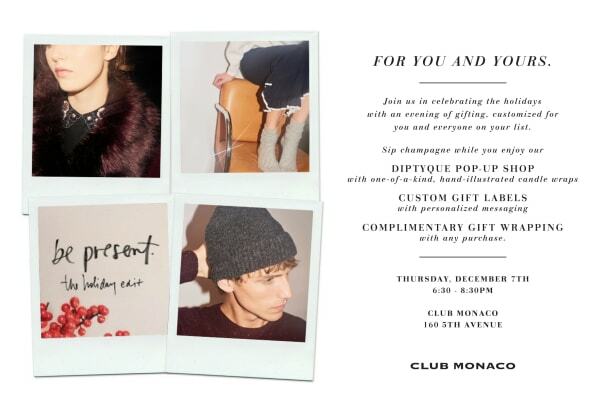 Join Club Monaco as we celebrate the holidays with an evening of gifting, customized for you and everyone on your list! Join Club Monaco as we celebrate the holidays with an evening of gifting, customized for you and everyone on your list! Sip champagne while you enjoy our exclusive pop-up shop with Diptyque, custom gift labels, complimentary holiday gift wrapping, holiday inspired sweets, and more! 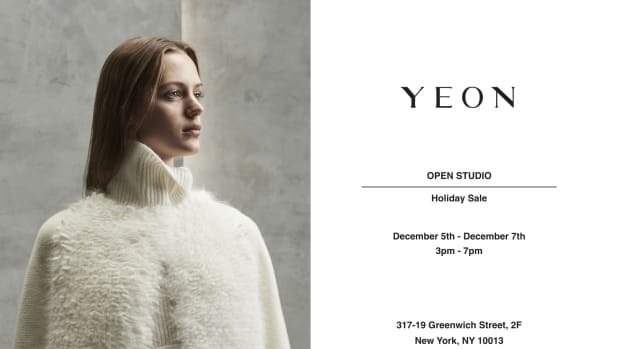 Mark your calendars for 12/5 - 12/7 for YEON's holiday sale at 317-19 Greenwich Street, 2F in NYC. 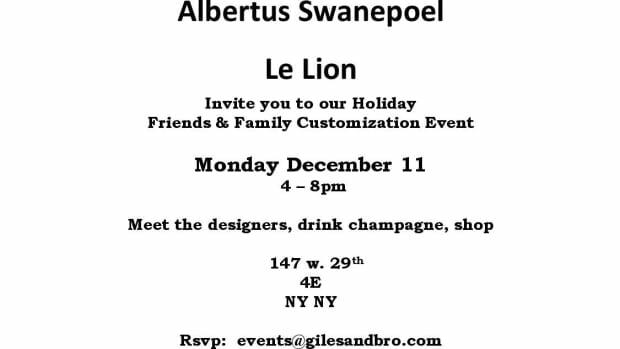 You're invited to our Holiday Friends & Family Customization Event on Monday, 12/11 from 4-8pm at 147 W. 29th Street, 4E. 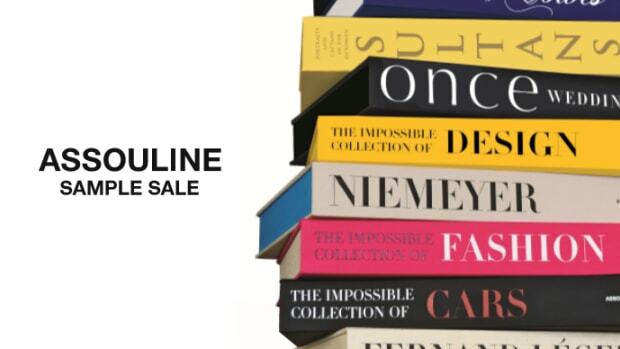 Meet the designers, drink champagne and shop to your hearts' content.